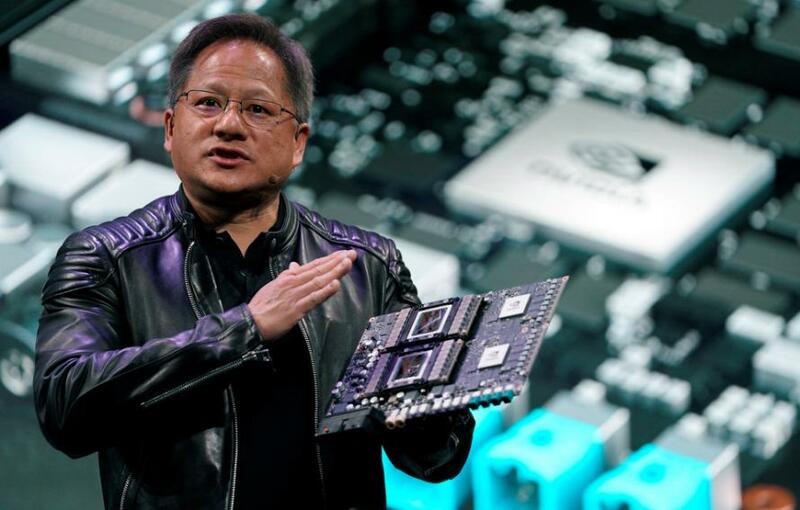 However, NVDA shares fell as the company revealed for the first time that a bigger-than-anticipated portion of the demand for its powerful graphics processors came from the volatile cryptocurrency market. 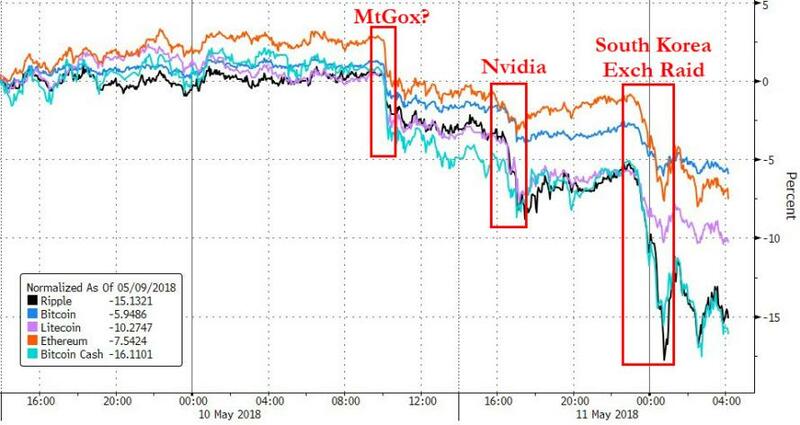 And then the company said that while it generated $289 million in sales to cryptocurrency miners in the first quarter, Chief Financial Officer Colette Kress said that the company expects cryptocurrency-related revenue to fall 65% to about $100 million in the next quarter...sparking a second leg of selling pressure across the crypto-space. 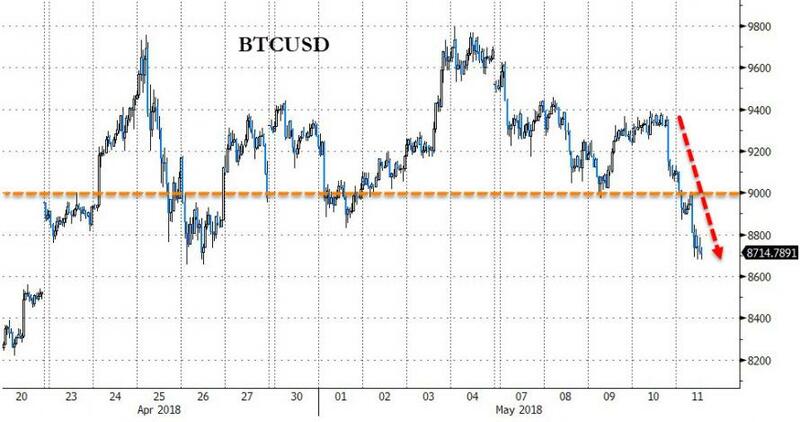 And then overnight the third 'whammy' of the triple whammy struck when South Korean prosecutors raided the offices of Upbit, one of the world’s largest cryptocurrency exchanges. 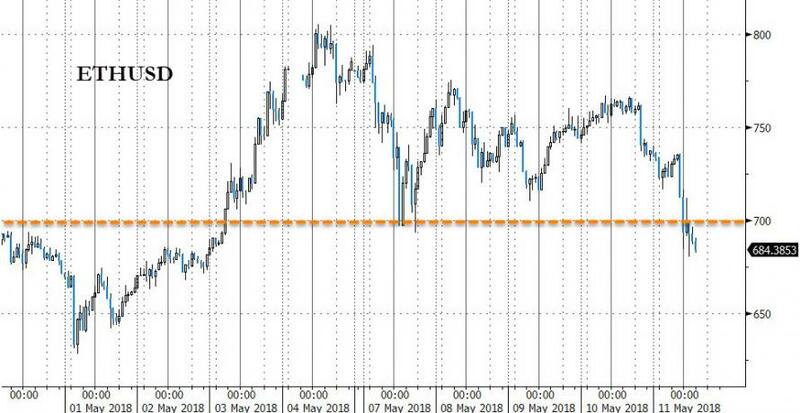 Bloomberg reports that authorities searched the exchange’s offices on Thursday and Friday, according to an official from the Seoul Southern District Prosecutors’ Office, who asked not to be identified citing office policy. She declined to provide further details of the raid, which was first reported by the Korea Economic Daily. 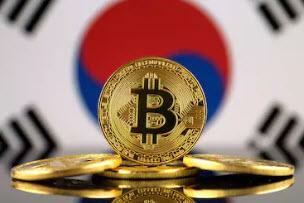 “Upbit is currently under investigation by prosecutors and is cooperating,” the exchange said in a notice to clients, adding that services such as transactions and withdrawals were unaffected and that client assets were safe. The exchange hosted about $1.6 billion of cryptocurrency trades in the past 24 hours, making it the biggest in Korea and the fourth-largest in the world among fee-charging venues tracked by Coinmarketcap.com.